Every year your house fills with family and you think “This would be the perfect time to get family portraits done!” And you plan to do it next year... then you get busy and it slips through the cracks. Let's call this your reminder to book that session you have been putting off. We have Home for the holiday sessions available right up to Christmas Eve and we are already almost completely booked. 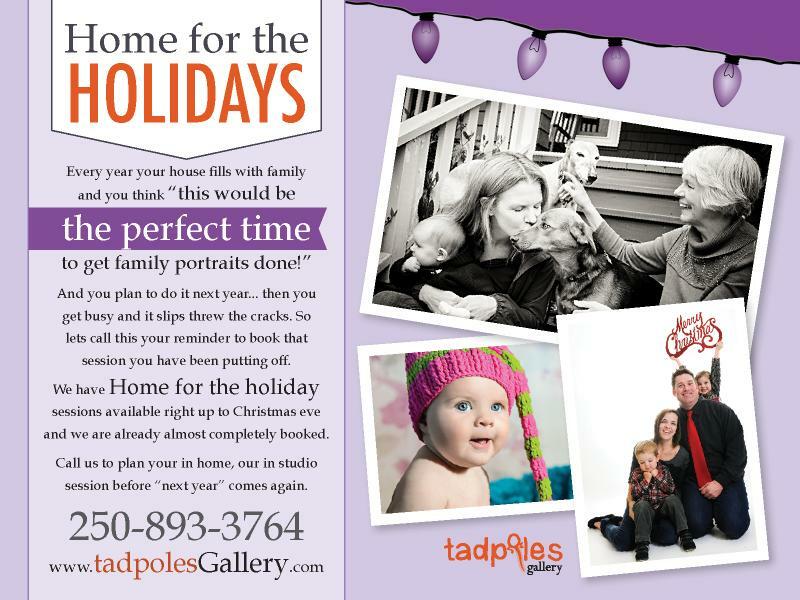 So get your family photographed this holiday season when you are all together. Call us to plan an in-home, or in-studio session before “next year” comes again.